The Boston Red Sox started the season winning 32 of their first 52 games and grabbed an early three-game lead in the AL East. Since then, they’ve gone just 7-9 and have fallen one game back of the Baltimore Orioles. The team’s pitching has been less than stellar this season, particularly in the past few weeks. Outside of David Price, Steven Wright and on occasion Rick Porcello, the rotation has been a mess. Even Price’s ERA is a whopping 4.24 this season, which is the highest of his career since 2009, when it was 4.42. Boston has a clear need for a starting pitcher as the trade deadline approaches, and it has the prospects to make a deal happen, but it has been reluctant to do so in the past. According to reports, the Red Sox are once again exploring trade options to bolster their rotation. 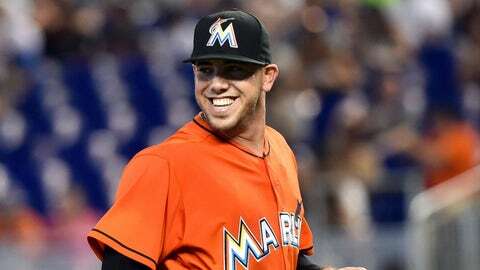 The two names they inquired about are Jose Fernandez of the Marlins and Gerrit Cole of the Pirates. Both are young aces atop their respective rotations, and both would require a great deal of talent in exchange for Boston to acquire. It’s not surprising to hear who the Marlins and Pirates would want in return: Xander Bogaerts and Mookie Betts. To be clear, they aren’t asking for both young players, just one or the other. But for the Red Sox, Bogaerts and Betts should be off the table in just about every trade scenario, outside of a pipe-dream trade for Mike Trout or Bryce Harper — neither of which will ever happen. 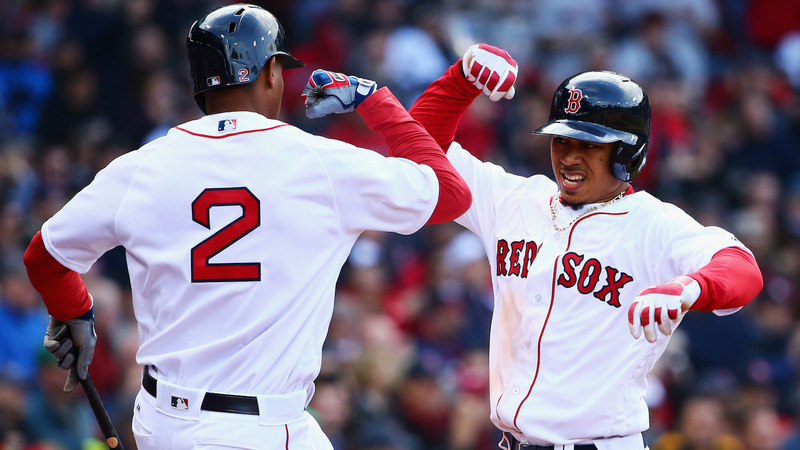 In Bogaerts and Betts, Boston has two of the most talented young players in all of baseball. Both rank in the top nine in WAR among position players, with Bogaerts fourth and Betts ninth. That’s not the end-all be-all determining factor of success, but it’s a telling statistic. Bogaerts, who’s a mere 23 years old, leads MLB with 100 hits and is atop the American League with a robust .352 batting average. He’s already surpassed his 2015 home run total with nine thus far and is tied for 15th in the majors with 46 RBIs. Remember, this kid is 23 years old and plays shortstop. Young, talented shortstops who hit for average and play Gold Glove-caliber defense are like unicorns. Sure, Francisco Lindor, Carlos Correa and Corey Seager are anomalies as they’ve all burst onto the scene alongside Bogaerts, but prior to last season how many superstar shortstops were there under the age 30? Not many. If not for that reason alone, the Red Sox have to hold onto Bogaerts. Remember Stephen Drew at shortstop? Or how about Marco Scutaro? Julio Lugo and his .237 average in 2007 ring a bell? Maybe you remember how big of a bust Edgar Renteria was in Boston. The Red Sox haven’t had a star at shortstop since Nomar Garciaparra, and Bogaerts has superior potential. He’ll be a perennial All-Star and Gold Glove candidate for the next decade-plus if he continues to put up numbers similar to the ones he’s posted over the past two seasons. He leads all of baseball with 296 hits since the start of last season. As for Betts, the argument is similar. Like Bogaerts, he is already a 23-year-old superstar in Boston. After finishing 19th in MVP voting last season, Betts has only improved. 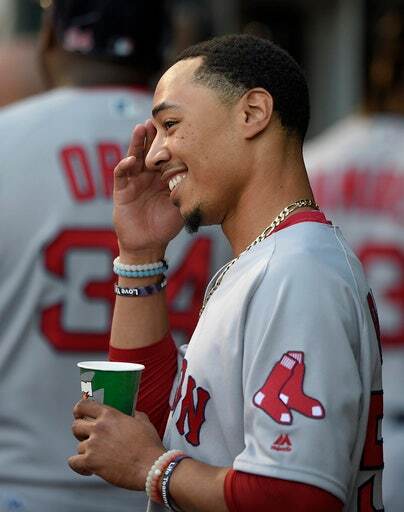 Now in right field, Betts is bolstering his case to be an MVP candidate by hitting .295 with 15 home runs and 50 RBIs, which is eighth in all of baseball. To make his RBI total more impressive, consider this: He bats leadoff on a daily basis. His uptick in power has been a welcome surprise for the Red Sox after he hit 18 home runs in 145 games last season, which was solid in its own right. Now, he’s on pace to hit more than 30 homers and drive in 100-plus runs in 2016. Few, if any, leadoff hitters in MLB have the ability to put up those numbers batting first in the order. And how about that speed? 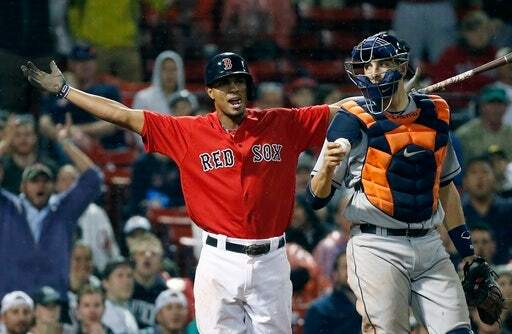 Betts is tied for 13th in the majors with 11 stolen bases, getting caught just once. Surprisingly, he isn’t running as much as he could, mainly because of the Red Sox’s power throughout the order. Why run into outs when you have guys like Dustin Pedroia, Bogaerts, David Ortiz and Hanley Ramirez hitting behind you? Betts’ speed is unquestioned, which pairs well with his .527 slugging percentage. His four triples are tied for fourth in MLB, in addition to his 16 doubles, which help put him seventh with 35 extra-base hits. A Red Sox lineup without Bogaerts or Betts would be a far cry from where it is now, leading MLB in runs and batting average, and by a wide margin. Players of their caliber are hard to come by, particularly at such a young age playing important positions. Not to mention, the Red Sox don’t have the best history dealing for aces. Sure, they netted Curt Schilling back in 2003 and Pedro Martinez in 1997, but Boston hasn’t had overwhelming success trading for starters. The Steven Wright deal has worked in its favor, but how did Jake Peavy do in Boston after the Red Sox acquired him? Not well, to say the least. Joe Kelly hasn’t been what he expected to be with the Red Sox, nor has Porcello (aside from parts of 2016). And that’s without mentioning the Wade Miley debacle. Ben Cherington and Theo Epstein’s pasts in Boston shouldn’t suggest Dave Dombrowski will have similar erroneous trades, but trading for an ace is both difficult and risky. Bogaerts and Betts are blue-chip talents who should be removed from any and all trade discussions.